Located on the 4th floor in the Life Science Laboratories the Device Characterization facility provides gold-standard verification of wearable and point-of-care devices and other medical devices. 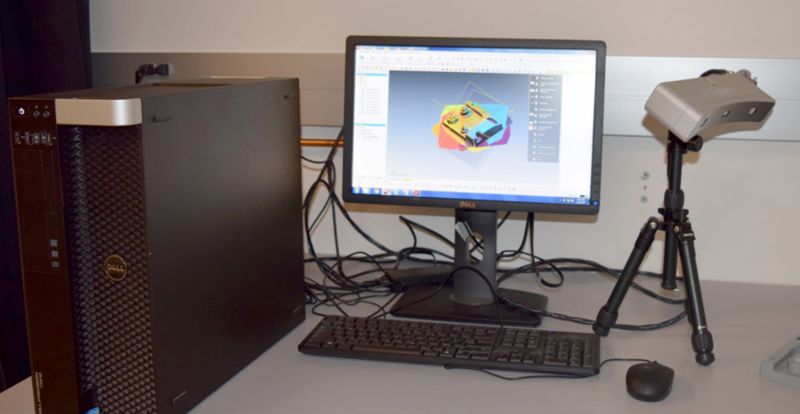 This lab offers a full suite of mechanical testing capabilities to fully characterize materials, manufacturing processes, and their fabricated devices. We offer training to users to conduct experimentation for use on a fee for service basis to both internal and external researchers, academic or industry based. Following an initial consultation, covering experimental parameters training and access is arranged through the director. 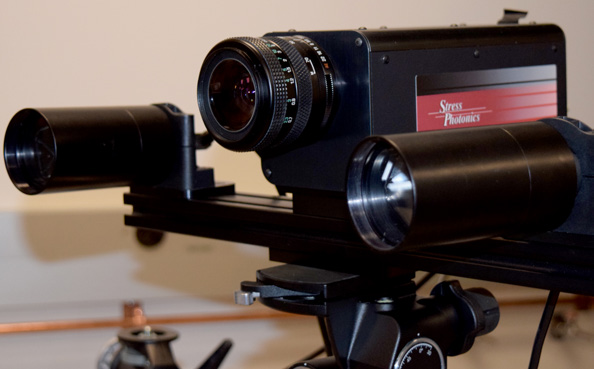 The Capture 3D scanner allows rapid characterization of the surface geometry and shape of an object. The scanner allows rapid creation of a digital model of a physical object. Industrial uses include fields as varied as quality control, orthotics, and prosthetics. Though not as accurate as a coordinate measuring machine, the 3D scanner requires no physical contact. The Alpha D-500 stylus profiler allows high resolution characterization of 2D surfaces. The measurements can be used to ascertain step height, roughness, bow, and shape of a piece, as well as measurement of stress. The device also allows high resolution visualization of surface features. Such measures are used in a variety of fields, including materials research and medical devices. 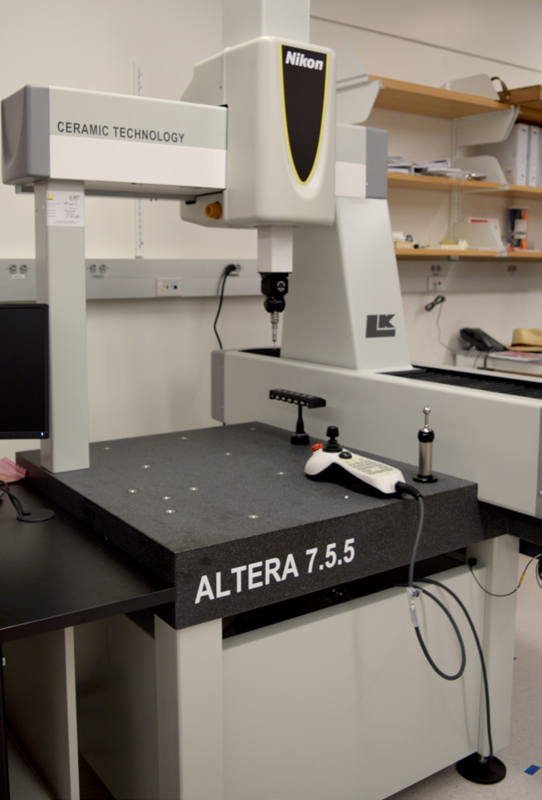 The Nikon Altera 7.5.5 allows high precision characterization of device geometry in critical to function locations. Using a 5-axis measuring system and a number of probe options, the system measures with volumetric accuracy on the order of 1.8 microns, allowing a designer to confirm part dimensions to tight tolerances. The Brinell, Vickers and Rockwell Hardness Testing Unit (EBVR) consists of a hardness testing machine that determines the three main types of hardness (Brinell, Vickers and Rockwell). It can be adapted to determine hardness of ferrous materials (steel, casting pieces, etc. ), nonferrous materials (aluminum and copper alloys, etc. ), test pieces and alloys. The ElectroPuls 10000 can test material properties under large linear and torsion loads and at high strain. Using the system a material or device’s material and fatigue responses can be tested to determine its performance and validate its manufacturing process. 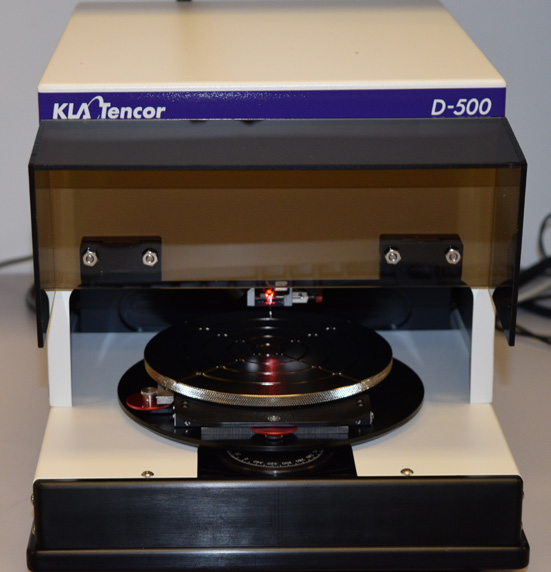 The GFP 1500 allows location specific characterization of stress and strain, allowing a designer to finely adjust their design to withstand loads and validate engineering models. The part is painted with a photo elastic coating, and then illuminated with circularly polarized light. The light becomes elliptically polarized proportional to maximum shear strain at the object surface.